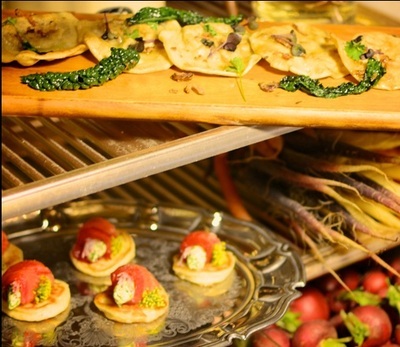 Food Society reminded me that dining is a social experience. 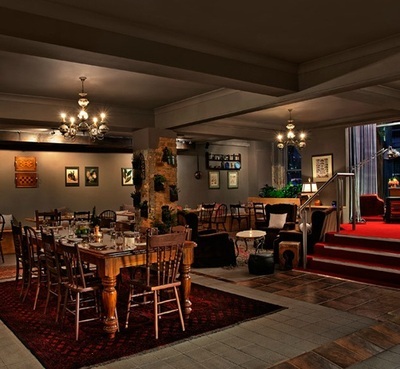 Being served intricate modern Eastern European cuisine in the warmth and cosiness of a place that looked like a tasteful suburban home, the food was once again the reason we go out to eat, and not an activity to do while catching up with friends in order to save time. Yes, life is getting busier, but experience is the thing most worth your time – and Food Society emphasises on the social food experience. This encouraged me to try something different. 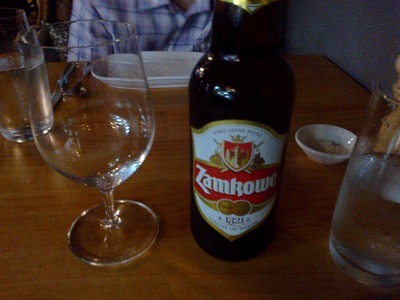 In fact, I picked dishes from the menu that I had never heard of before; beginning with the imported Polish beer, Zamkowe, which the waitress very kindly recommended to me from her own personal experience. 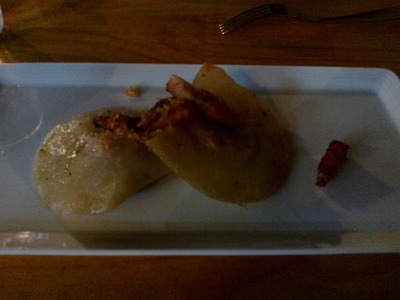 The appetizer, pierogi with organic pork and roasted shallots, won me over completely. Pierogi are dumplings made from unleavened bread, and they had a slightly sweet taste to it which complimented the strong taste of the pork finely. 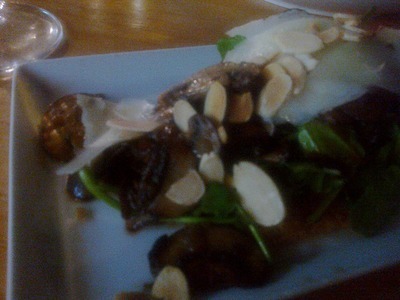 There were two main dishes we shared – the grilled cuttlefish on squid ink risotto with parmesan, and the baked mushroom and almond tart, sherry vinegar caramel. 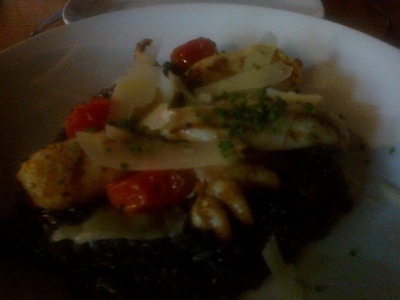 I had never had squid ink risotto before, so I was amazed when I finally had a chance to taste that and also add it to one of my favourite foods list. The mushroom and almond tart was surprisingly nice, considering I would have never thought baked mushrooms and greens could go so deliciously with a sweet tart base. Ganache is made from cream and chocolate, usually used for icing, glazing and stuffing, but even on its own it stole the spotlight. In the same way you could eat the cookie dough before putting it in the oven because it is just so delicious and irresistible. Tuiles are thin, crispy wafers, and in this case it was the perfect bittersweet finishing touch to the extreme sweetness of the other chocolate components. All in all, it was very well done. 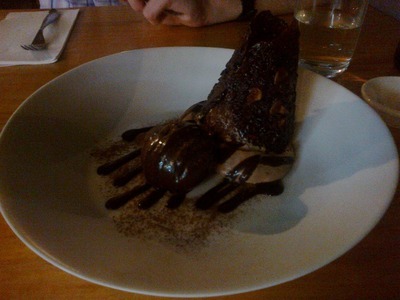 I especially appreciated the confidence it gave me to explore new foods, even ones I have never heard of. So when you go there, I recommend ordering something you haven't tasted before. Take a chance and experience food.